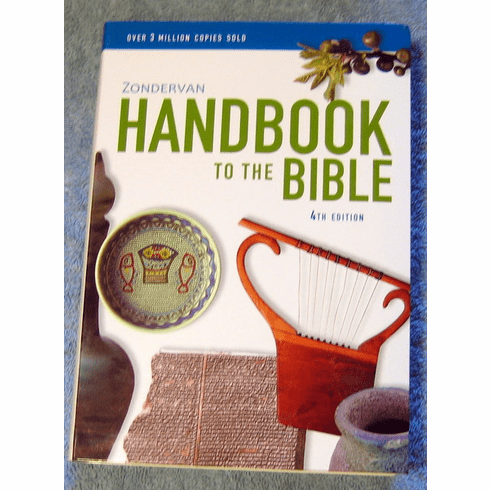 This fourth edition of the Zondervan Handbook to the Bible is a full-color guide to all the books of the Bible that includes 119 expert articles, over 500 color photographs, 68 maps, 30 charts, and a complete Rapid Factfinder reference section. This new fourth edition, still available in its popular flexiback binding, has been revised to include new and updated articles and images. From the history and design of the temple in Jerusalem to God�s relationship to the universe, you�ll find it here. The land, cultures, battles, feast days, heroes, and villains of Scripture come alive through spectacular color-filled articles and images of meticulous clarity and detail. Special features include: � Four-color guide to all the books of the Bible � 119 articles by an international team of experts � Over 500 color photographs � 68 maps, 30 charts � Complete �Rapid Fact-Finder� reference section �Rich with study helps� (Kay Arthur) and �indispensable� (Charles Colson), the Zondervan Handbook to the Bible is the most important Bible resource a Christian can own.